Celebrating the life of Richard D. Brown Sr.
Obituary for Richard D. Brown Sr.
Richard D. Brown, Sr. 54 of Decatur passed away April 11, 2019 at Mercy Hospital, Rogers. He was born December 31, 1964 in Texarkana, Arkansas the son of Robert S. and Joyce B. Plunk Brown. 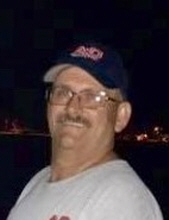 Richard was a machine operator for Technical Machining Services and a member of Fellowship Full Gospel in Decatur. He is survived by his wife Sandy Wegener Brown; five children Candy Branstetter, Richard Brown, Jr., Tracy Ivy, Eric Brown and Travis Brown; three siblings Robert Brown, Barbara Black and Ronald Brown and ten grandchildren. To send flowers or a remembrance gift to the family of Richard D. Brown Sr., please visit our Tribute Store. "Email Address" would like to share the life celebration of Richard D. Brown Sr.. Click on the "link" to go to share a favorite memory or leave a condolence message for the family.